isn't chrome a B*tch to keep clean and free of scratches? I saw a chrome mercedes at the LA auto show one time and that thing was nice but it was filled with scratches. anyway... 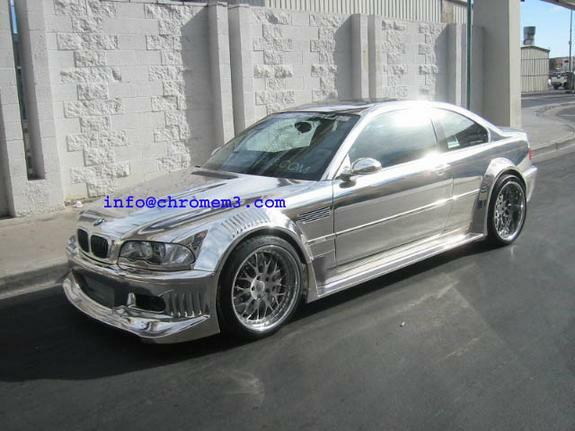 I am not a big fan of chrome, but I do think it would look pretty sick. i havent seen to many chrome paint jobs - but with all the curves and stuff the RX8 has I don't think it would come out that nice. 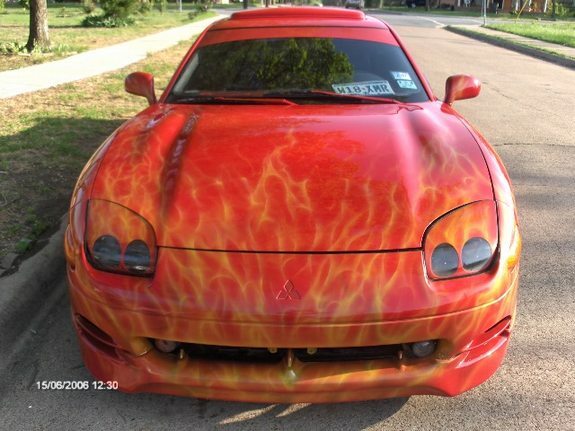 Definetly unique though - I'd stop and look at one but I wouldnt ever pay to have that done to my car. 50 cent chrome painted his lambo murcielago..but im not a fan of chrome paint either..
rx8 would look great in chrome but it's not practical for anything but a show car. If you are doing it only for promotional purposes, then go for it. 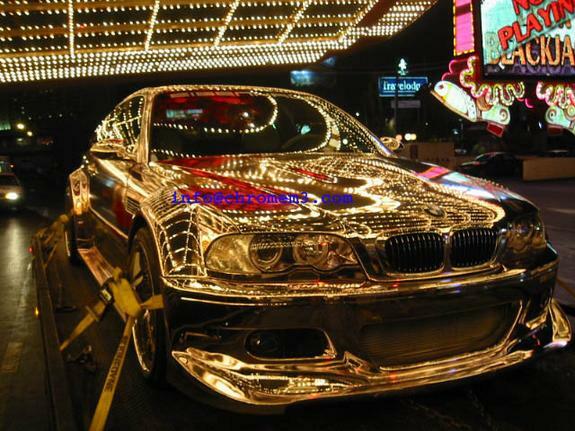 But remember it's still your car, so after the promoting is over, you'll have a chrome car. Oh Mclaren, i forgot who this was. Waddup Man. Which shop do you work for? I only think that some parts on the car should be chrome. But I really wouldn't go for a car that painted entirely chrome. But, I guess it's good if you are trying to get your name out there. that NFS underground police car looks tacky. 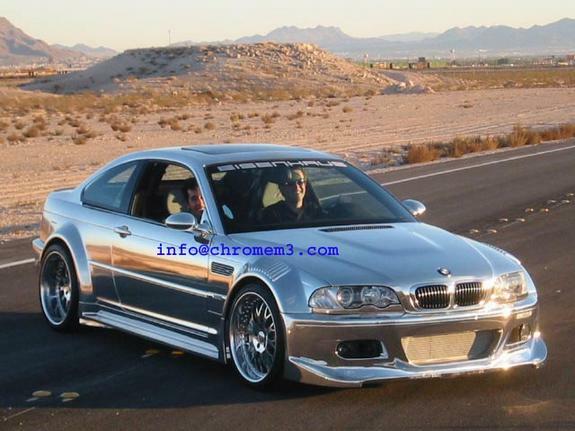 i think a full chrome 8 with a kit... other than the veilside... would look a lot better. anyways, to continue what i was saying earlier, if you show it, then would be alright, but as a daily driver... uggh, too much weight and too much easy to mess up. will be still be street legal after painted? 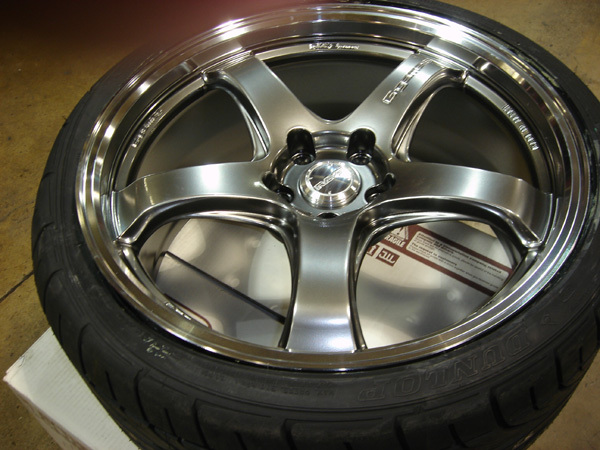 I have seen our 8 in Crome with and without Mazdaspeed skirt in Game "Need For Speed - most wanted" before. it looks realistic and its way cool than colours we have now. Uncle Ben would say thats too ricey. 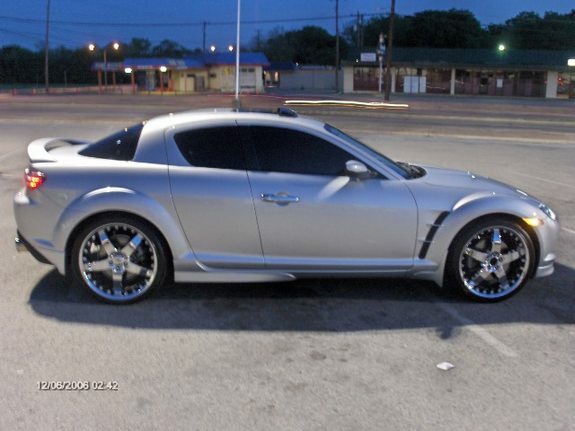 The chrome police rx8 looks nice.. it would look better if the hood and trunk was black, instead carbon fiber. Last edited by ЯX-8; 04-28-2006 at 03:42 AM.